Uwe Schenker-Primus will appear as Giovanni in the new production of Mozart´s DON GIOVANNI at the Deutsches Nationaltheater in Weimar. Uwe Schenker-Primus assumes the role of Speaker in THE MAGIC FLUTE (on March 10, 2018) at the Deutsches Nationaltheater Weimar. Uwe Schenker-Primus as soloist in the concerts “Italian Opera” at the festival esterházy on August 19 and 20, 2016. Uwe Schenker-Primus as Prof. Higgins in the new production of “My fair Lady”. 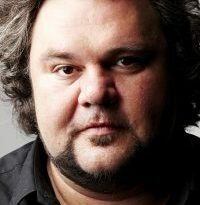 Martin Hoff is conducting the new production.